van den Berg, J, & Conijn, R.P. (2013). 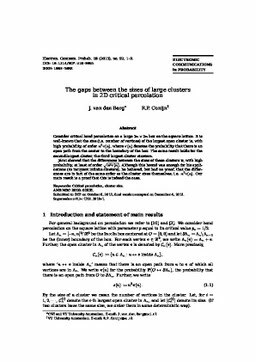 The gaps between the sizes of large clusters in 2D critical percolation. Electronic Communications in Probability, 18.